A native and resident of Newington, Bob Zysk first coached boys cross country at Bristol Eastern in both 1971 and 1972. 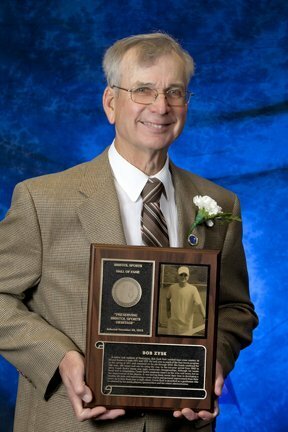 He took over as coach of the boys tennis program in the spring of 1971 and remained on the job through 2013. His teams combined for 366 wins, 288 losses and one tie along the way. In the ten-year period from 2002 to 2012, Coach Zysk’s teams won eight conference championships. Although his teams fared well in competition, Coach Zysk’s emphasis wasn’t on the wins and losses, but on the improvement of his players. It was having them invest their time in developing a healthy life style and experiencing a sense of gain and personal improvement from their start, up to their final year in high school. Coach Zysk is described as a gentleman who is admired by his peers, players, sportswriters and the school administration.